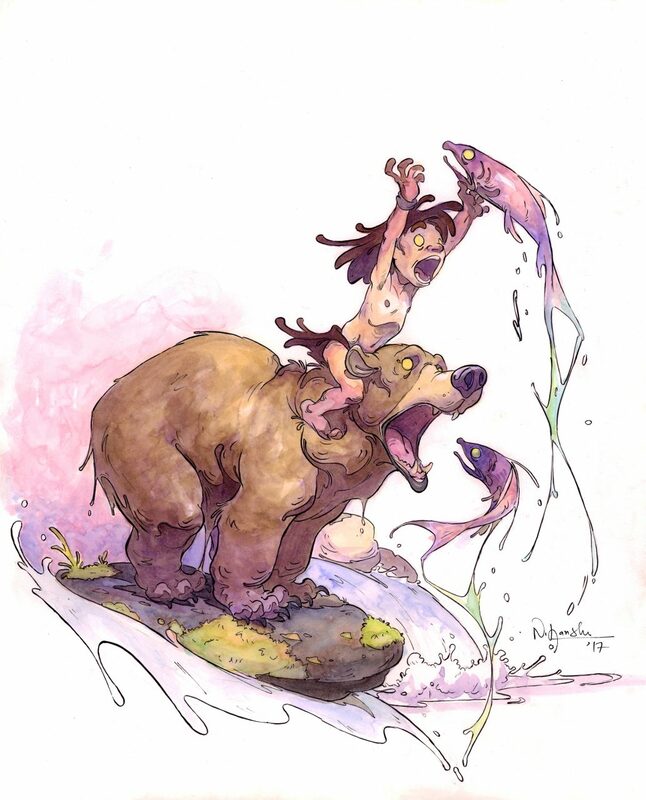 Nick Sharma joins Brian Dunaway, Joel Duggan and Matthew Ducharme to talk about his upcoming storybook Bubbles & Shakes and growing up as an artist in India and coming to the United States to follow his dreams. Illustrator. Glendale, California. New book, Bubbles and Shakes. Every kid believes that there is some magic in this world. Growing up, Nick watched the birds as they cleaned their wings for hours, fed and chatted with the squirrels every morning, and decided to be a lion one day and a horse the next. For Nick, the life around him felt magical – “Certain animals sometimes felt like certain people, and certain people sometimes even felt like certain animals!” He wanted to be in their skin and experience the world as them, and used drawing as a medium to get him close to this feeling. From a very early age, Nick was eager to capture the expression, essence and the feeling of the subjects he would portray in his drawings. Animals continue to play a prominent role in his work. 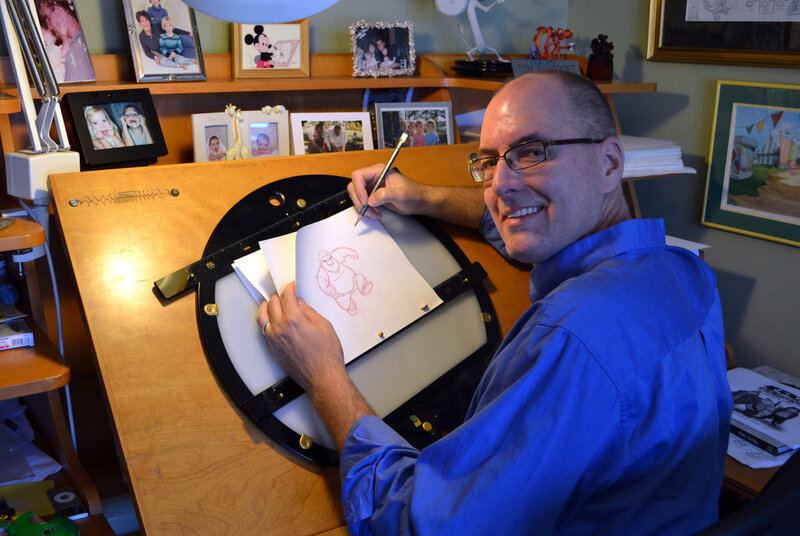 Nick draws what he loves and tells stories that are close to his heart. BUBBLES & SHAKES IS AN UPCOMING STORY ABOUT A LITTLE TIGER WHO MAKES A BIG SPLASH. LOOK OUT! Where to find: Social media links, etc. Thank you for taking the time to talk with us Nick. Can you tell the audience a little bit about yourself and your work. Tell us about Bubbles and Shakes? on the first of March you posted a colorful illustration of Bubbles and Shakes on your Instagram and wished us all a Happy Holi. I was not familiar with this day. Could you fill us in? Can you tell us about your childhood in India and how it shaped your art and story telling? Is The Jungle Book a popular story in India? We love it here in America. How accurate is the story? Are there talking bears there? You came to the United States in 2013. Have there been any struggles with culuture, art or work? Tell us a story! Do you find peace in drawing? Or is that just your nature? I’m watching your YouTube videos and I feel like all is good in the world. I love your illustration work! Is that where your heart lies? Or do you strive to bring your characters to life in animation? Tell us about Hatched. Is that a project we can look forward to sometime in the future? You obviously have a great admiration for animals, do you get to draw from real life often? How important is drawing from real as opposed to drawing from reference photos or the internet? Are your water colors traditional or digital? Follow up – Either way, do you have any tips for someone looking to get into that kind of technique? Your illustration style is very (appropriately) bubbly. Who are your modern and classic influences? it is also very fluid and intertwining. What tools are you using? Ipad Pro? Drawing Tablet? Sketchpad? Which seems to be the most natural fit and which one have you struggled with the most and why? We could talk about challenges of being from another country(India). That could be interesting as I came to States in late 2013. I could talk a bit about I have learned along the way (some art related Philosophies) that could help new budding artists. Can you share an artist you are a fan of for our listeners to follow? Where can we find their work online? You guys are helping make Comics Coast to Coast an even better podcast!